Are you considering a cosmetic or reconstructive procedure but hesitant to make a final decision simply because you don’t know how the results will look in the end? You’re not alone as many patients have anxiety about the end results. After all, you want to be sure that you are satisfied with the results and your intended outcome is exactly what you wanted. Thanks to Dr. John Connors new in-office three-dimensional photography system technology, you can preview the potential results of your future facial or breast augmentation procedures in order to help you make the final decision. Dr. Connors uses VECTRA 3D technology, which is an advanced imaging system that captures 3D face, breast, and body images to allow surgeons and their patients to preview surgery results during an in-office consultation. With ultra high resolution, the VECTRA 3D system is able to capture razor-sharp definition of the smallest details of a patient’s body. 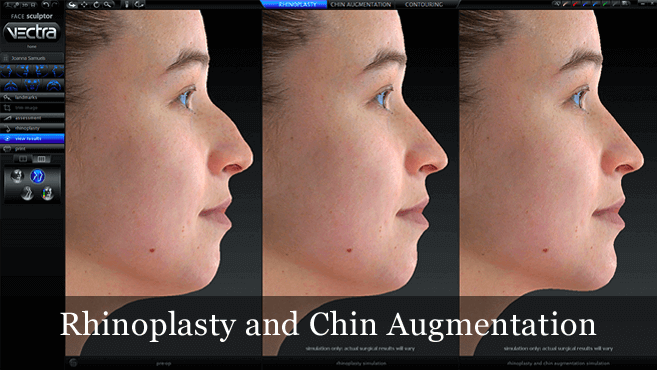 Using VECTRA’s high-resolution, three dimensional photo-simulations, prospective patients can now visualize the exciting possibilities of their anticipated aesthetic procedures. The process starts with a VECTRA 3D session, which produces 3D photographs of the patient. Then, using Sculptor software, Dr. Connors is able to simulate the results of a variety of procedures, including breast lift, breast augmentation, chin augmentation, rhinoplasty, facelifts and more! Since all the images are 3D models, they can be viewed from all different angles, as well as side-by-side for comparisons. Check out the Demo below. 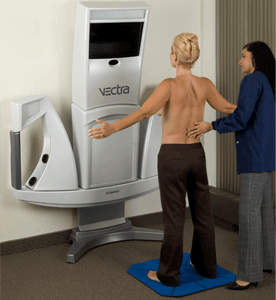 Will the VECTRA 3D Imaging Improve my Results? Dr. Connors uses the VECTRA system to record precise measurements and set clear expectations of what you are looking to achieve. Together, with Dr. Connors, you have the ability to choose the appropriate size gel or saline implants for your body and preview a variety of facial procedure combinations to help you and Dr. Connors develop precise goals for surgery. Request your Vectra® 3D consultation with Dr. Connors today and put aside your worries and fears of not knowing the outcome of your procedure!